Replacement Windows South Jersey: Get to Know Us Again! Have you ever had one of those friends that you haven’t talked to for a while? We all know how it goes, the years just seem to fly by and all of a sudden you realize that you have not seen each other in a while. Eventually you make the time to get together for a dinner or maybe a cup of coffee. It is then, that you realize it was like no time had passed at all, and you are able to pick up right where you left off. The beautiful thing about a friendship like this one, is how effortless it is to revisit. The years apart don’t really mean much and the old rapport is easy. At Cambridge Exteriors we want to rekindle that special friendship you used to have with your house. We are New Jersey’s premier home repair and remodeling contractor. We proudly take your home, no matter what shape it is in, and transform it into the home of your dreams. Much like that old friend you have not seen for a while, your home can turn into something unrecognizable, the dull, peeling paint, the leaking windows and the leaky roof. No matter what the issue is with your home, we can make it feel like an old friend again. That being said, we always enjoy connecting with our customers and if it has been a while since your home has had some attention we would love to help you get it back in shape. The South Jersey winters can be brutal if you have windows that leak. 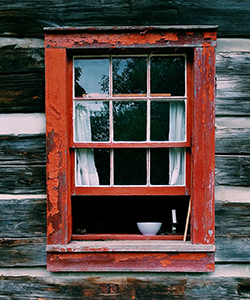 If you have a home that was built in the previous century, chances are that you have windows that leak and are inefficient. This is not necessarily due to the way they are made, but just from wear and tear over the years. Sure, the windows that were designed 20 years ago are probably just fine, but the windows they are making today are extremely efficient. At Cambridge Exteriors we are your local window specialists. We specialize in installation, replacement and even custom window designs that are perfect for any home. Identifying whether or not you have bad windows is not always as easy as it may seem. Sure you may feel a draft, but leaking windows can exhibit much more subtle signs of leaking. Generally window leaks occur in a few different places and just because the glass is intact does not mean that it is not letting cold air in. Old glass can allow cold to pass through and collect in your home, and nobody likes to be cold. A cool tip about finding out if your windows are leaking is to make sure that all of the doors are closed and turn on your vent fans. Then take a stick of incense or a candle and move it in front of the window. If the flame or the smoke moves dramatically there is a window leak. Of course, another amazing way to see how inefficient your windows are is to have your home inspected with an infrared camera system. Regardless of the severity of your window leaks, if you are ready for an upgrade Cambridge Exteriors can make your home much more comfortable. We also replace doors but that is a subject for a whole different blog. One of the most amazing parts of many homes is the outdoor recreation area and that outdoor space is one of the crown jewels of many properties. A deck that offers a place for the family to relax, recreate and generally just enjoy the outdoors, is something that every family needs. If you do not currently have a deck on your home, the time is now to contact Cambridge Interiors for your enhanced outdoor space. Picture this, it is early spring and the snow has finally begun to melt, your children are standing at the back door with little tears rolling down their cheeks. They look longingly out into the yard and as the melting snow turns the earth to mud. With a deck, the children could play happily in the backyard without tracking mud into the house. Not only will a deck on your home prevent additional dirt and debris from making its way into your home, but it is the ideal place to relax in the summer. Throw some comfy patio furniture out there and you basically have an outdoor living room. In the winter you can take pictures of the snow piled on your table in order to accurately demonstrate to your southern friends on social media, just how much snow you actually received! At Cambridge Exteriors we can build and design your dream deck. We utilize AZEK® Deck Boards, which are a wood alternative, this creates a deck that is virtually immune to warping, cracking and rot. Contact us today to see what we can do to make your summer memorable with a new deck. Would you go into a fight with a dragon without a suit of enchanted armor? Of course not! Ask any knight and he will tell you that although you are wearing a suit of enchanted armor, your chances of surviving are pretty slim. You home’s siding is pretty much an enchanted suit of armor, although the natural environment is not as aggro as a massive dragon, it still does a number on the materials. Replacing your siding can not only protect your home and create a more efficient space. You may not think that a little hail damage on your siding is a big deal but let’s look at what can happen if you allow your damaged and cracked siding to continue through the seasons. The winter’s around here are tough enough on your home, there is no reason to have damaged siding allowing the weather to chip away at your home. One of the main reasons that we have siding on our homes is to keep the weather off. That may seem like a pretty simplistic way to look at it but it is just the way it is. When water infiltrates your siding, it becomes trapped between the semi-waterproof membrane on the home and the siding itself. During the winter, this water will freeze and eventually crack both plastic and wooden siding. At Cambridge Exteriors we utilize only the finest materials from CertianTeed siding company. We can repair your siding, install new siding, and even assist with your siding insurance claim issues. We would like to thank you for spending some time with us today and next time we will look at some more of the services that Cambridge Exteriors has to offer; things like snow removal, roofing, bathrooms and home additions. We value you as a client and a friend and we invite you to connect again soon. Let us make your home the best it can be. Don’t forget to ask about our easy and affordable financing with up to 18 months of no interest and no payments. We look forward to hearing from you and we are excited to reinvent your home!